Celebrity shows are a big part of any celebrity's life and when we talk about Indian talk shows, one name pops up immediately in our minds, Karan Johar's infamous chat show Koffee With Karan. This year, KJo aired its 6th season and it was one hell of a controversy ride. One of the episodes that received immense limelight and criticism all over the nation was that which had Indian cricketers Hardik Pandya and K L Rahul as the guest. The episode was criticised by the netizens for the below the belt and sexist remarks mouthed by Hardik especially. Later on, the two were asked to apologise and owed an explanation to the cricket board while the episode was also taken off air by the makers of the show. This particular episode completely ruined the cricketers image is what most reported. 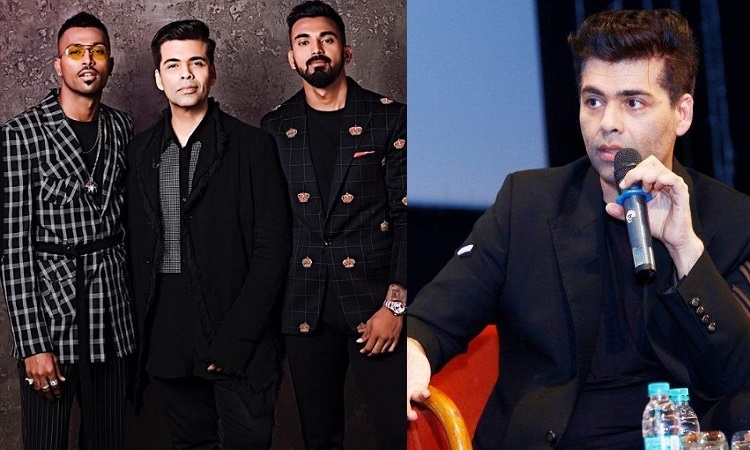 Now, finally the host of the show, Karan Johar broke his silence over this whole controversy. When asked to comment on that episode, KJo expressed, "I think the boys have paid their price now". Karan was on Arbaaz Khan's new talk show 'Quick Heal Punch'. Karan further expressed that the boys have already been punished and he hopes that their punishment has ended now. Also, Karan Johar stated that he feels the boys have been given a second chance in their careers. Praising the duo, he further added, that they are both talented and exceptional forces in the world of cricket. What do you have to say over Karan's response to this controversy? Let us know in the comment section below. Ranbir Kapoor and Alia Bhatt's ROMANTIC Dance will STEAL your Hearts! Notebook encapsulates the PICTURESQUE beauty of Kashmir!